This year we had many requests from Dynamics 365 enthusiasts from outside of Melbourne, Australia (even other countries) for the videos of our meetups. 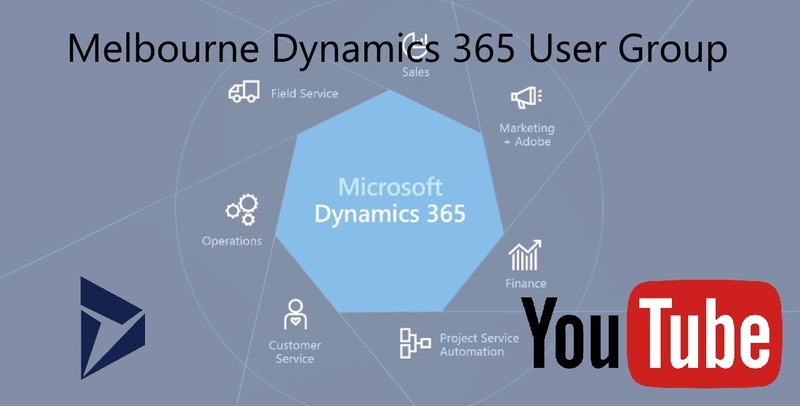 Today, Melbourne Dynamics 365 User Group would like to announce the availability of our YouTube Channel. Starting from April, 2017, we will be recording all sessions and make them available for everyone around the world. Please subscribe to our YouTube Channel and let us know what you think. Special thanks to Sahan Wijayasekera for all the hard work he put in to creating these videos. What’s better than a Video is seeing it with your own eyes. Please RSVP for the next User Group session to learn and network. April 2017 sessions are now available.